Yes, I am registering and looking forward to participating in the golf fundraiser. In lieu of participation, I want to make a strategic gift in support of the golf fundraiser. Click on button above to download the golf event flyer. The Luke Project focuses its efforts in two major environments – each a key piece to building meaningful relationships with underserved children, Age 7 – 14, living in Atlanta. The Luke Project accepts financial support for these programs throughout the year. 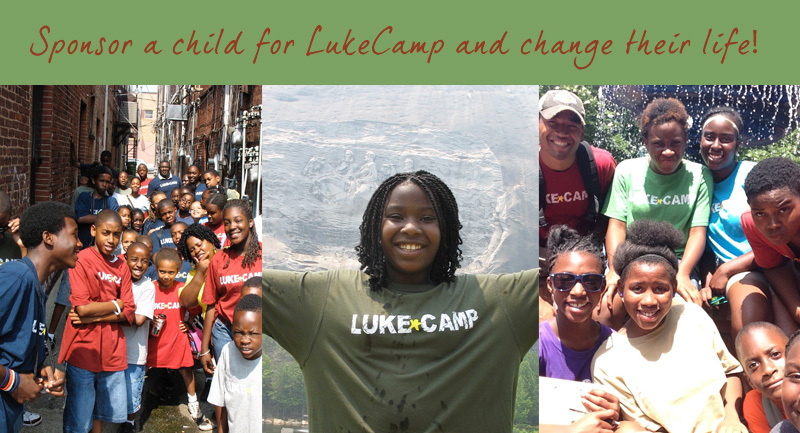 camp for children age 7 – 14 in underserved communities of Atlanta. Your gift of $500 supports one child for Weeks 1-9 or Week 10. Every gift counts! To see more ways that you can give to support The Luke Project, Inc. and the children we serve, please visit the Donation Page. Your strategic partnership will help us raise $95,000 to impact underserved children living in Atlanta. Your investment in the future of our city is changing lives and we look forward to seeing you on Wednesday, April 17, 2019. St. Ives Country Club Dr. Note: Schedule of Events is subject to change. Please REGISTER ONLINE or call 678-754-7700 for additional information. Thank you for helping us Lead Urban Kids into Excellence.